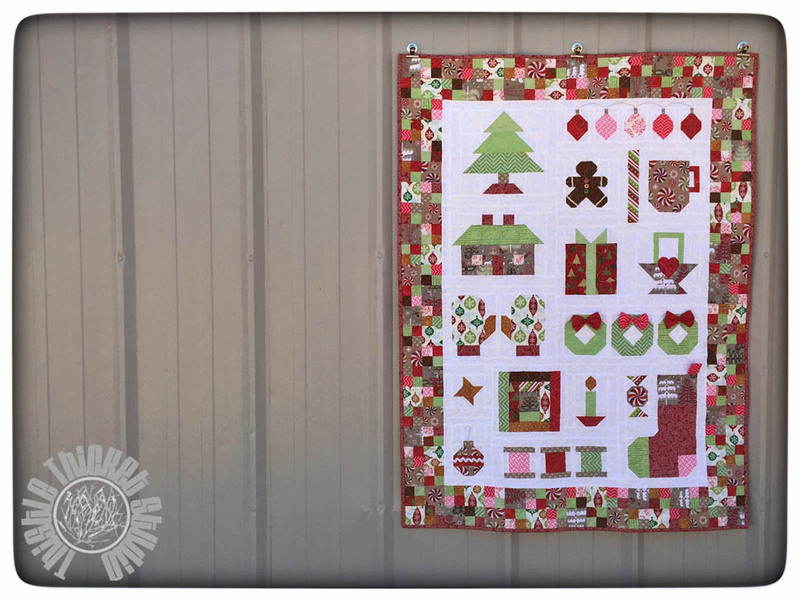 If you follow my blog, you know that I love Lori Holt's patterns and this is no exception. Her patterns are just so fun to make. The details on this quilt just are the cherry on top! 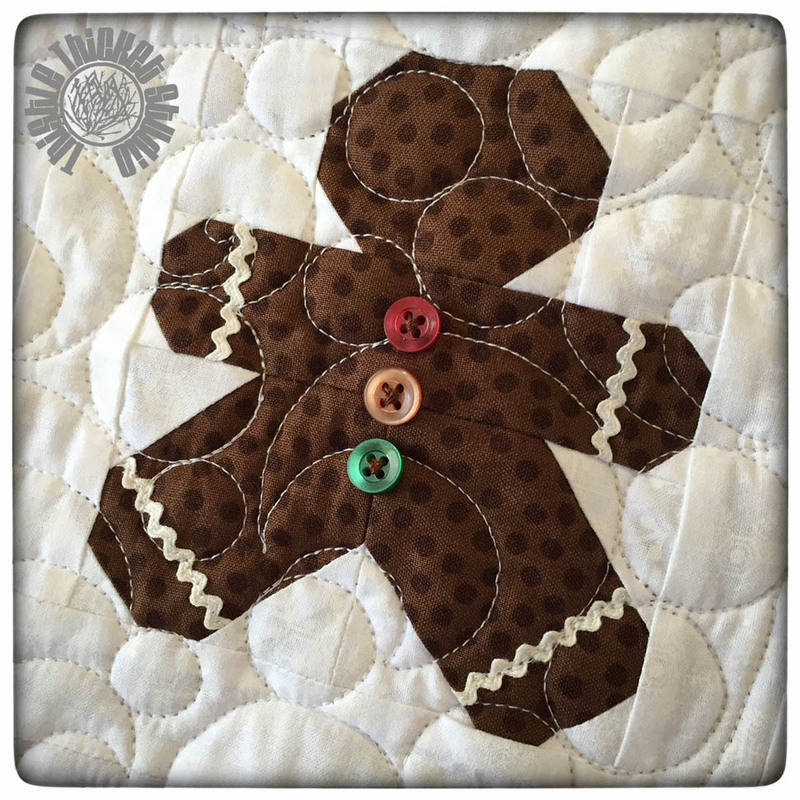 Isn't this gingerbread man adorable with his little buttons and ricrac trim? 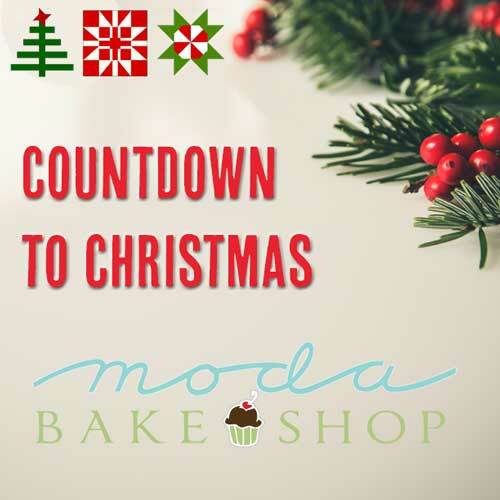 And these little bows on the wreaths are just too cute! I have enough of the gray tree fabric (seen on the stocking cuff) leftover to make some coordinating pillows for my loveseat in the TV room. I just fell in love with that fabric and I used that as my inspiration for the rest of the fabrics in the quilt. Oh - and don't you just love that fussy cut peppermint candy? The scrappy border was perfect to set up a cross-hatch quilting design in, which was a new challenge for me. I was thrilled with how it turned out too. I quilted an all-over design in the center that included feathers, swirls, pebbles and clamshells. 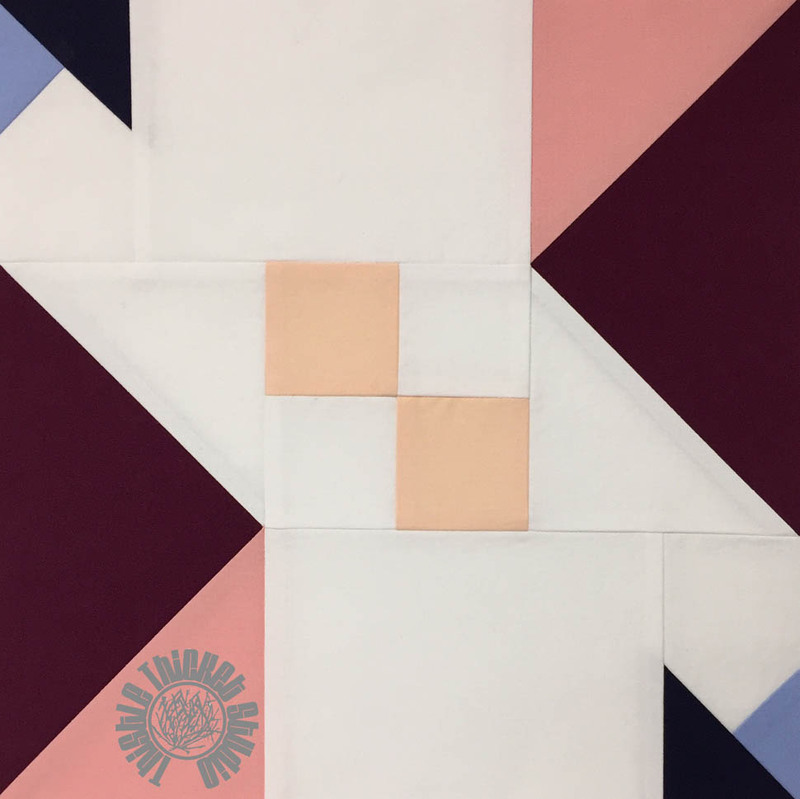 I thought the fun design fit the fun, modern feel of the quilt. It was another pattern by Anita Shackelford and I can't wait to use it on my Bonnie and Camille Log Cabin Swap Quilt next (unfortunately I didn't get that one done for the 1stQ). It feels so good to get another one off my UFO list. I'm ready to rock and roll in the 2ndQ of the Finish-A-Long! What UFOs have you completed so far this year? Doesn't it feel great?! P.S. I also linked this post up for TGIFF. It may be the only finish I'll have for the first quarter of the 2016 Finish-A-Long but its a finish nonetheless! 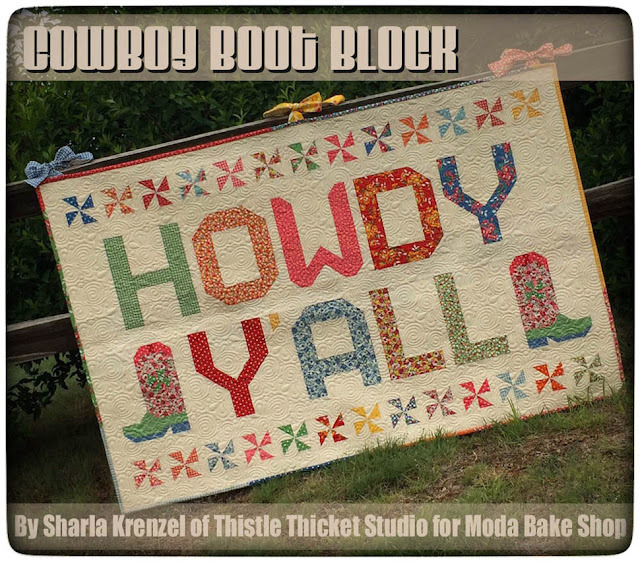 I got sidetracked this first quarter with making my grandson's "Robots All In A Row" quilt and co-hosting Moda Bake Shop's "ABC Birthday QAL", so I didn't come close to completing all the projects I listed at the beginning of the quarter (see my 1stQ list here). 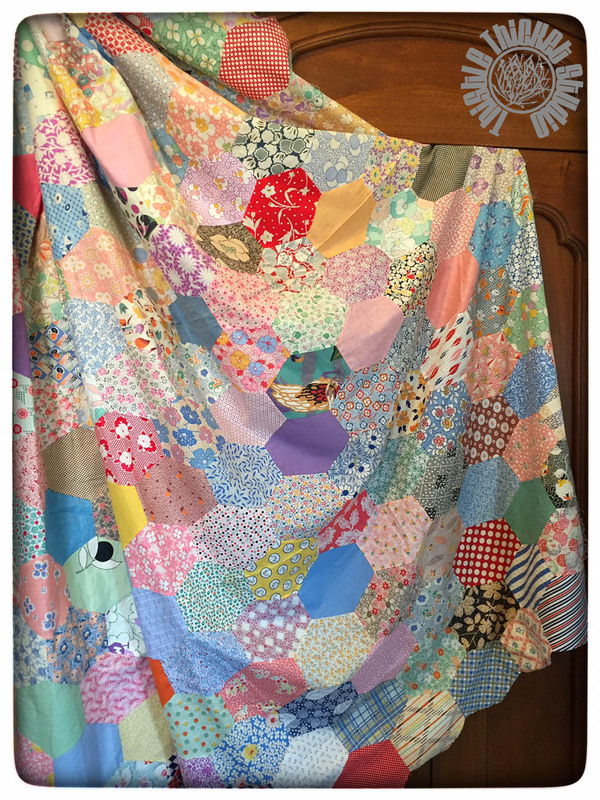 I'm okay with that and I'm super happy to have this four-patch quilt out of my UFO pile! 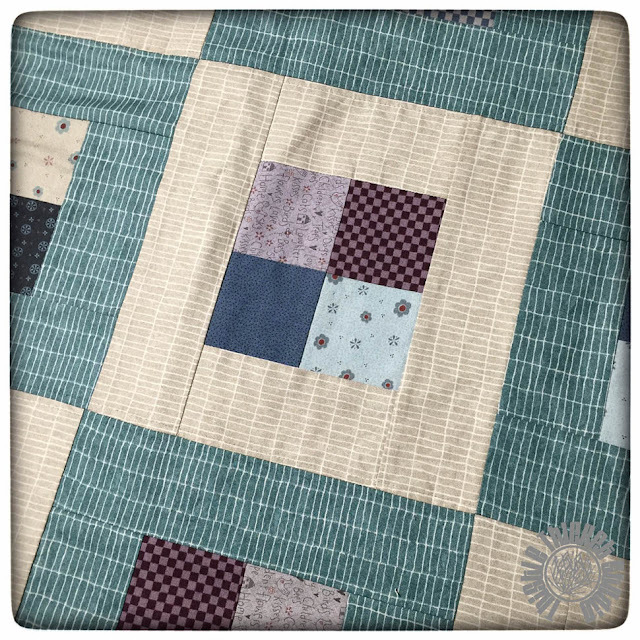 This quilt started as a four-patch demo a few years ago, using a construction technique I'd seen done by Me and My Sisters. 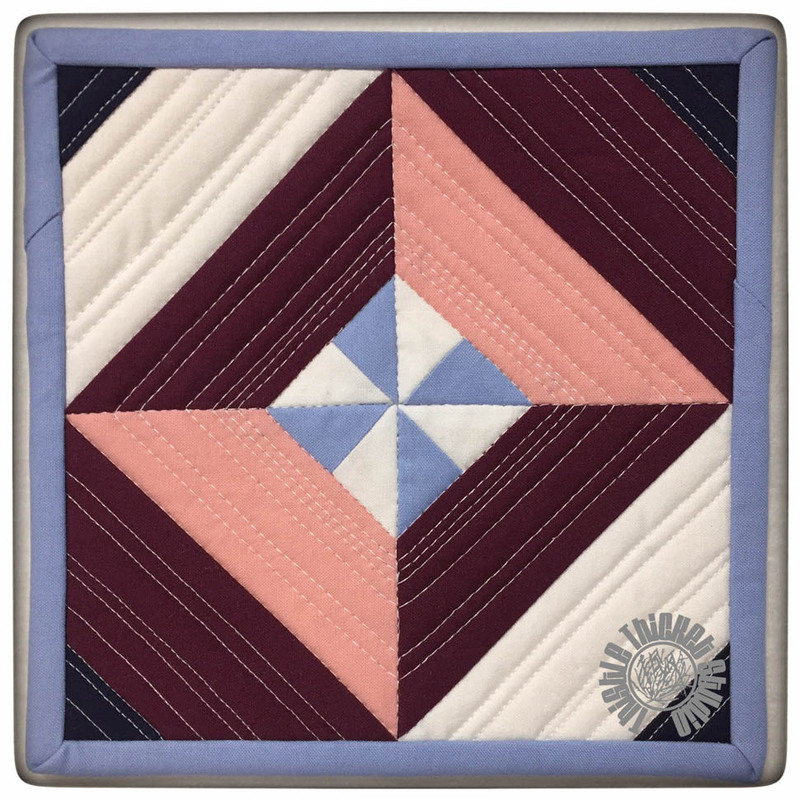 I searched their site and can no longer find the instructions, but I did find a tutorial from Missouri Star Quilt Co. on their You Tube site. 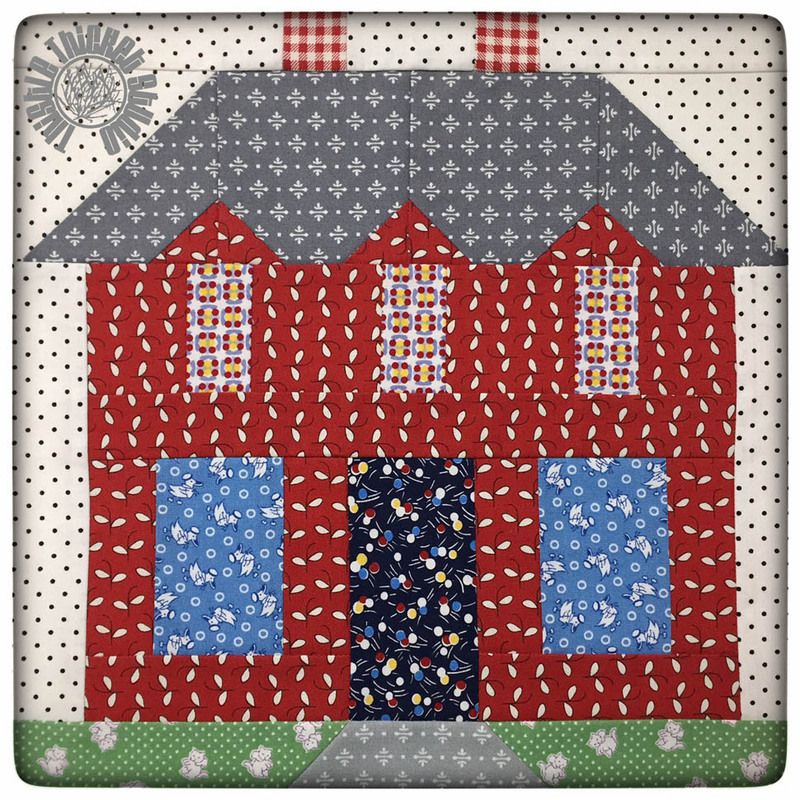 Those four-patches, made from a charm pack of Lynette Anderson's " Quilter's Garden" that I won at a quilt show, laid around for quite awhile before I decided I needed to do something with them. 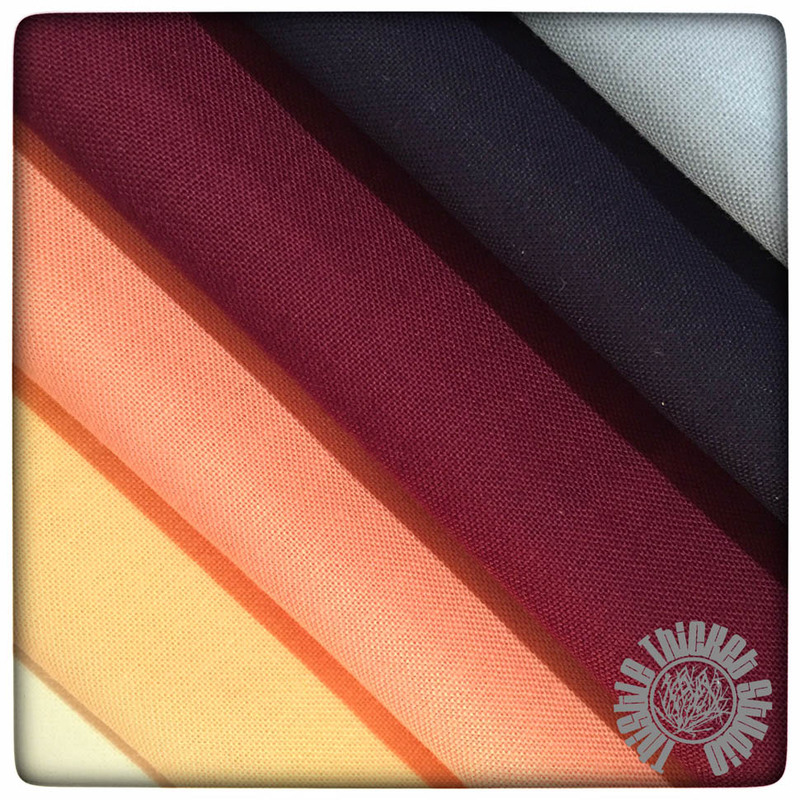 I searched for coordinating fabric and finally found some "Neutral Territory" fabric by Donna Becher for P&B Textiles in two colors that I liked. I just framed the four-patches in the two colorways and then set the blocks in an alternating pattern. Quite simple but kind of blah. So the quilt top laid around for another year or two until I signed up to do the 2016 Finish-A-Long and the UFO Challenge 2016 in January. I was determined to get at least one thing on my list finished before the first quarter ended so I dug this out last weekend to quilt it. I found the perfect quilting pattern called "Modern Gem" by Anita Shackelford. 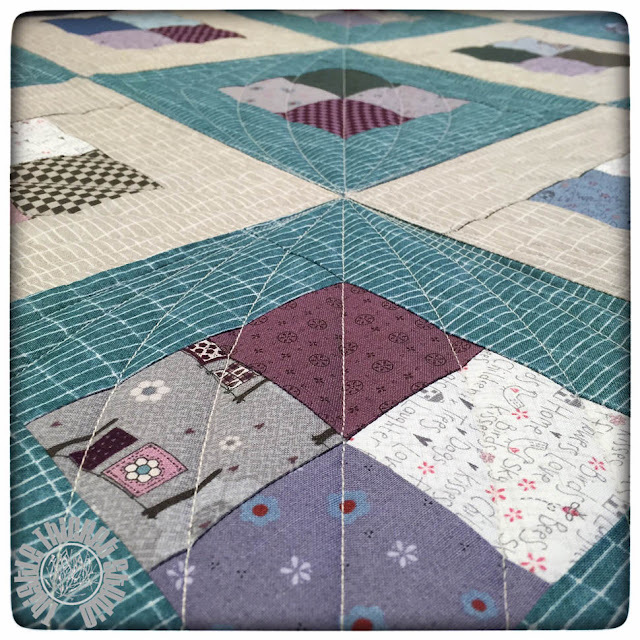 I just love the movement this pattern creates and it was just the pop this quilt top needed to take it from ho-hum to awesome! 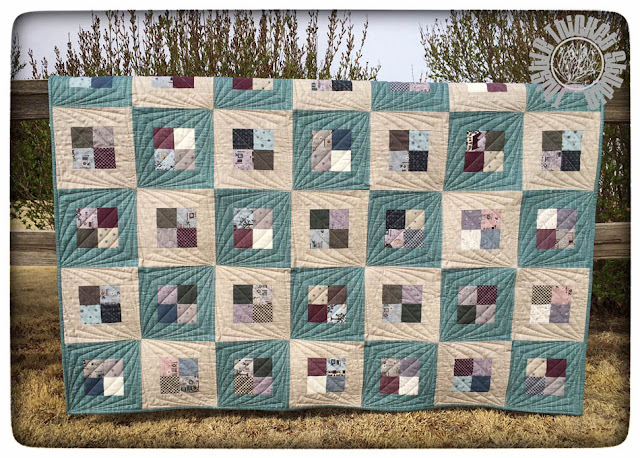 Now if I could just come up with some better backdrops to photograph my quilts. I seem to use this split rail fence a lot. But it does show off the quilting quite well. I'll be linking this up to the 2016 Finish-A-Long for 1stQ finishes later this week. Well, I'm off to load another quilt on the longarm. Could I possible have two completed projects this quarter? 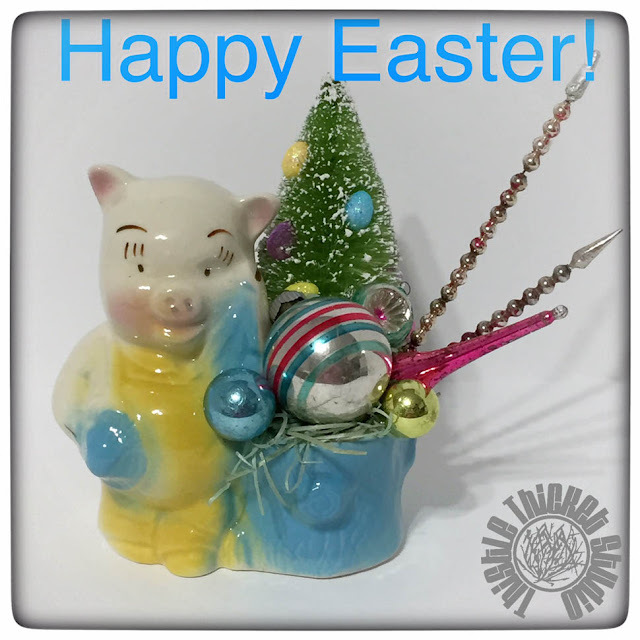 Remember that vintage pig planter I bought? Well he's all decked out for spring and wanted to wish you all a Happy Easter! 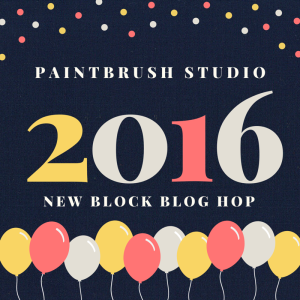 Paintbrush Studio's New Block Blog Hop Starts Monday! Paintbrush Studio will also be giving away a half-yard bundle of the "Ocean Sunrise" colorway from the Painters Palette fabrics used in the blog hop each day of the hop, so be sure to visit their blog "Inspired By Fabric" to sign up for the drawing. 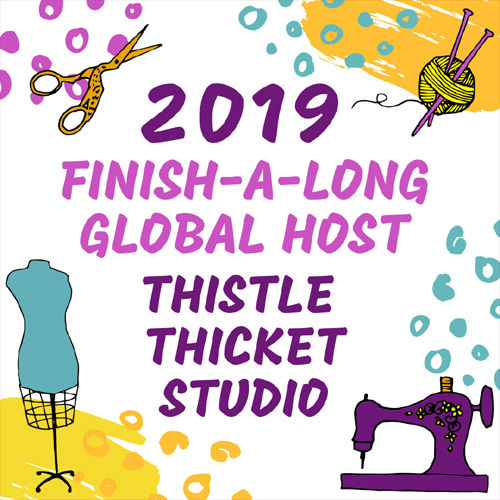 In addition, the host for each day will have a giveaway too, so be sure to visit Yvonne @Quilting Jetgirl on Monday; Cheryl @Meadow Mist Designs on Tuesday; and Stephanie @Late Night Quilter on Wednesday to sign up for their drawings. 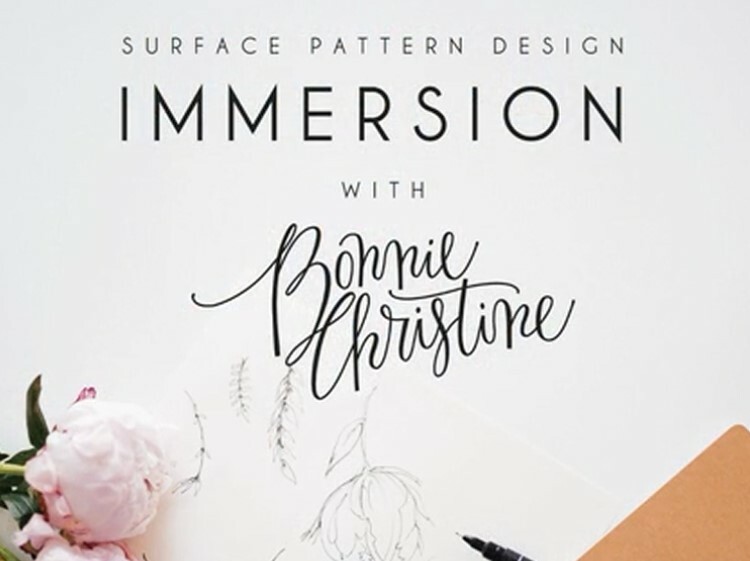 We hope you'll join us for all the fun, free patterns & prize drawings next week! Wow! It's been an interesting week on Instagram since IG announced they were moving from a chronological feed to an algorithm driven feed. The quilting community on IG has been in an uproar since - signing petitions, boycotting IG with a Silent Sew In on Friday, and then yesterday, a wave of quilters joining Ello. Ello is an online social networking service similar to Instagram. According to Ello, it is a place where creative people can connect and build communities. Sounds perfect for quilters. First I have to confess that I don't understand all the ramifications of Instagram going to an algorithm feed much like what Facebook uses. But I do know that I hate how Facebook chooses what I can see on my feed. I miss most of the things I'd really like to see on FB and have used it less and less as a result. 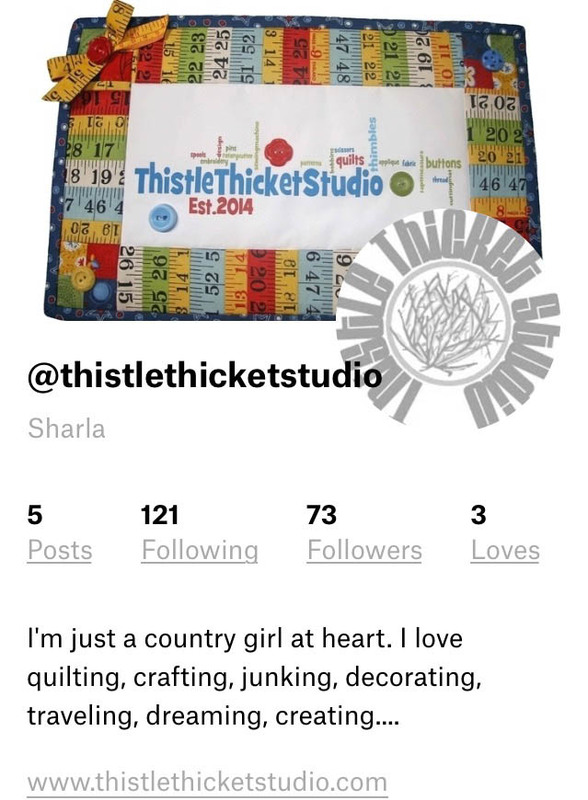 I really was excited to find a whole community of quilters on Instagram that I could follow and draw inspiration, ideas and knowledge from. I love the photo-based posting of IG because I am such a visual person. The idea that IG will now choose what I see based on popularity of posts means that I'll lose touch with people I enjoy seeing and as an IG member with a small follower base, I'll probably not show up on many people's feeds either. In many ways, Ello is very similar to Instagram. Above is my bio page on Ello. As you can see, you have a banner photo, profile photo, short bio, website listing, and numbers of followers and following. Unlike Instagram, Ello is committed to not selling ads on the site. Yay! Those ads were showing up more and more frequently on IG. Ello has a chronological feed. No algorithms! On Ello, you can post multiple photos with comments interspersed which gives it more of a blog post feel, I think. You can zoom in on photos! I've always hated not being able to zoom in on photos on IG - not that I'm suggesting that I'm getting older and my eyesight is not as good! Ha! 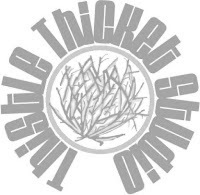 You can also post links!!! Some of my first posts on Ello were posting some of my quilts to give people a taste of me. 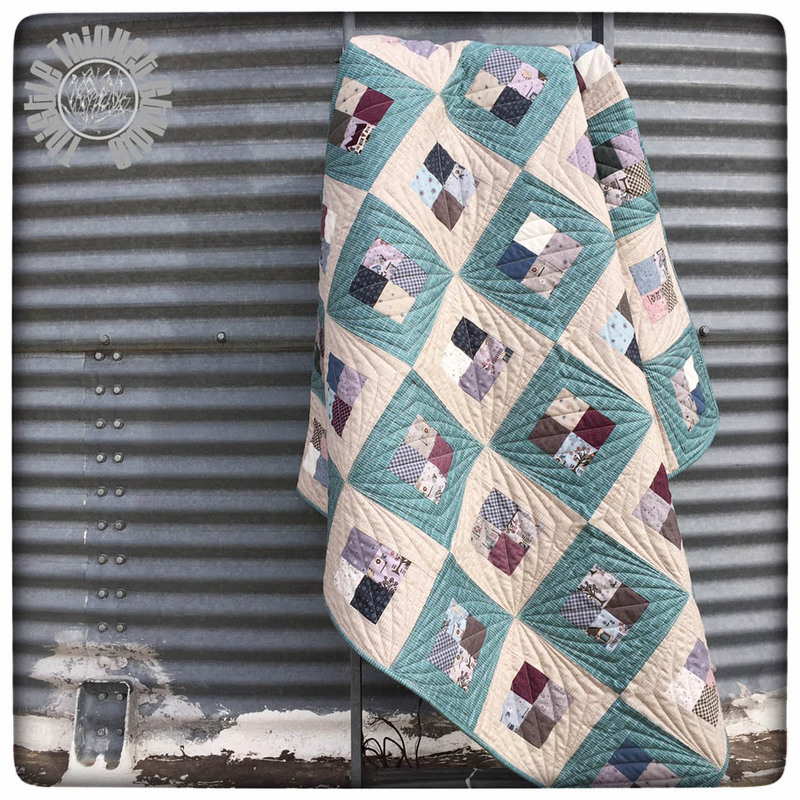 I was able to share the link to my Chainlinks quilt recipe on the Moda Bake Shop when I posted the photo. Love that. Although I'm a visual person, its kind of handy to be able to make text-only posts like you can on Facebook. You can post on a computer or laptop too, not just on your phone. The biggest pro for me right now is that I'm getting in on the ground floor of this community on Ello. 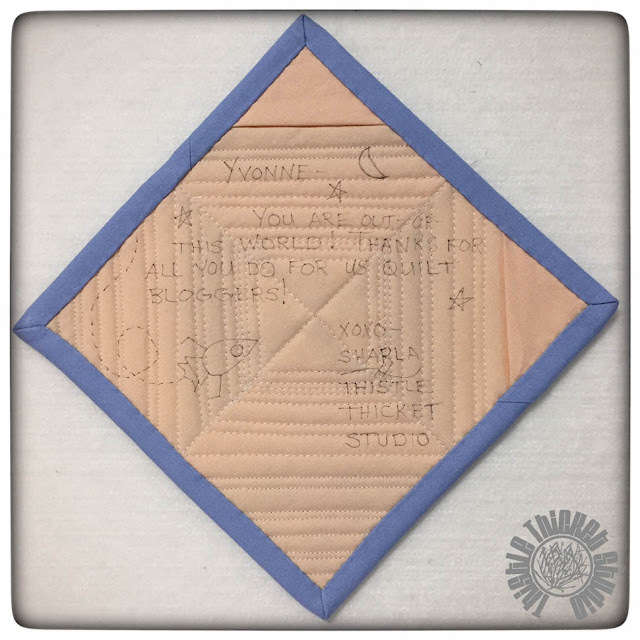 When I joined IG, the quilting community was well established and its been hard to find quilty peeps to follow me. On Ello right now, everyone is searching for friends and it's exciting to be in on this new adventure. It's slow. You get a lot of spinning circles waiting for photos and content to load. Ello is still in Beta mode, so hopefully the speed will improve. The Ello app isn't available for android phones yet. (Although I have an I-phone and this doesn't effect me.) For those with android phones, at least you can go online through your computer for now. The keyboard in the app doesn't have @ and # on the alphabet keyboard so you have to switch back and forth when typing hashtags or tagging someone. What a pain! I'm not leaving Instagram yet, so I will be posting in both IG and Ello. Do I really have time for that? I don't know, time will tell. 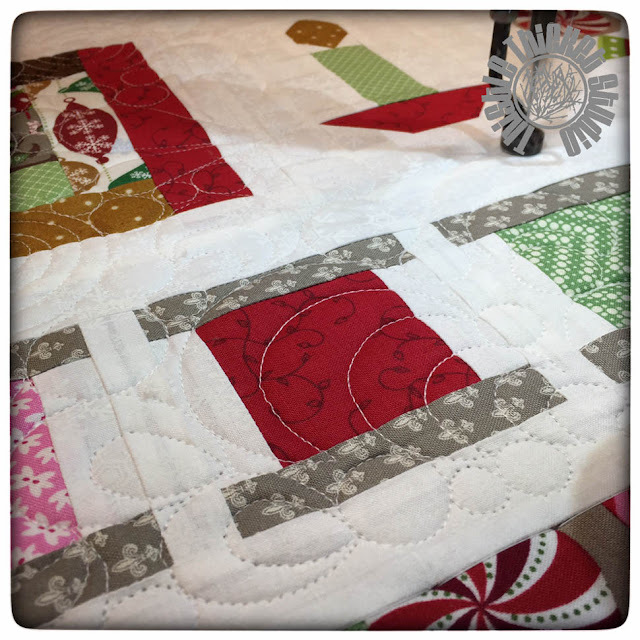 I'm still feeling my way around the Ello site and the quilting community on Ello, so I purposely did not make this a how-to post. I'm sure there are other places to get that technical info so just Google it. I haven't done that yet - I'm kind of a jump-in-with-both-feet kind of gal, so I'm paddling through it. I hope you'll come find me on both Instagram and Ello! (There are links to both of my profiles at the top of this blog in the right-hand column.) 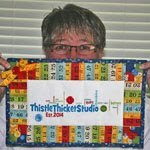 I'd love to connect with other quilters. In the meantime, please share any helpful tips you've learned on Ello so far! After a month spoiling the grandkids and exploring the great state of Texas, it's good to be home! The above definition of home just doesn't explain what a home is for me. Home is where I can really relax, enjoy the fruits of our labor, express my creative side, connect with friends, and count my many blessings. Although I love to go, it's always good to come back home. And now that I'm home, I've got some catching up to do. Oh yeah, there's the mounds of laundry, etc. to do, but that will eventually get done. What I'm anxious to do is to get back into my sewing room and create! There are just too many projects that I left hanging when we left back in mid-February. So I'm looking forward to sharing some finishes in the near future! Creating is never far from my mind even though I may be far from my creative space. While we travel, I'm always seeing inspiration for that next project - whether it is a quilting, crafting or decorating project. So today I thought I'd share a few of my creative inspiration finds from our latest travels. I'm so excited about the vintage hexagon quilt top I found at an estate sale. 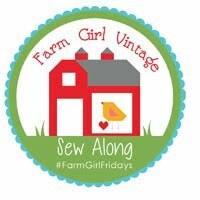 It is so perfectly hand pieced and has so many beautiful vintage 30's & 40's & 50's prints. I hope to use the fabrics as inspiration as I try to learn to design my own textiles. Eventually, I plan to quilt it and enjoy it's vintage goodness. Speaking of estate sales, I came home with quite a few yardsticks found at the sales too. 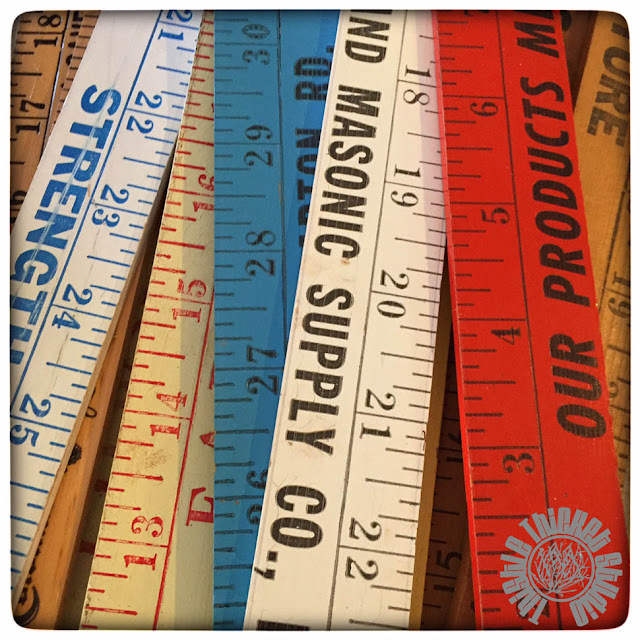 I still have plans to make a pull-down design wall using yardsticks as the mounting frame. My hubby is pretty sure people were thinking I was the crazy yardstick lady! I didn't find a lot this trip at antique shops, but I was excited to score this vintage toy sewing machine and will have fun adding it to my sewing machine décor in my studio. I couldn't beat the score my daughter found laying along the roadside one day, though. Two vintage typewriters! She hauled them home and the hubby cut the keys off for me. They need cleaned up, but will eventually find their way into some vintage button jewelry. The old adage "One man's junk is another man's treasure" is soooo true! 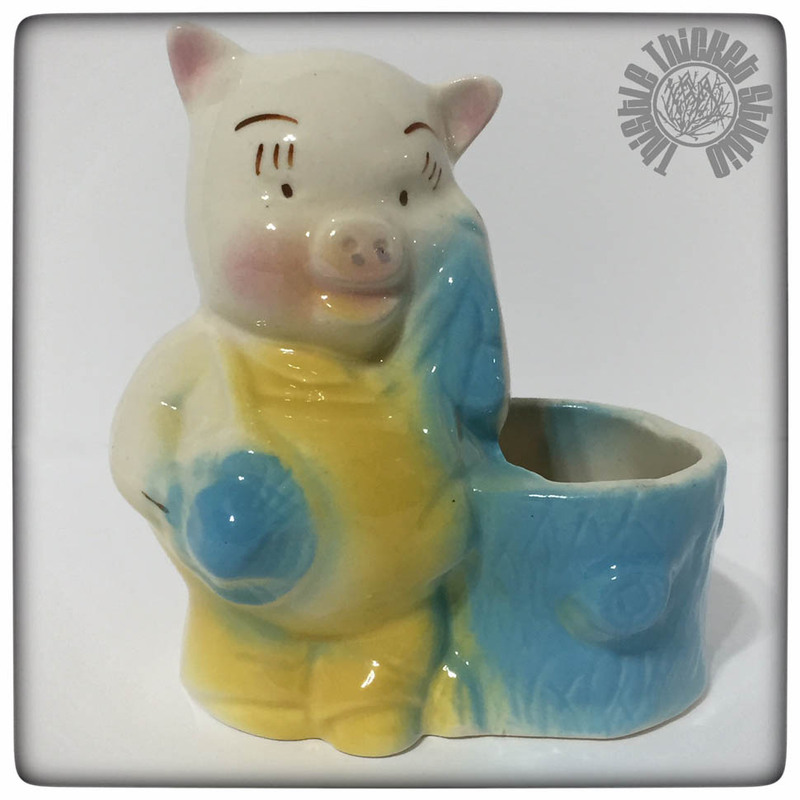 I picked up this little pig planter because he's just too darn cute. I love his spring-like colors and I'm thinking he would make a cute Easter decoration. Stay tuned for his transformation! And, of course, I hit up a quilt shop or two! Grandson #1 asked Nana to make him a Batman quilt after his brother received his robot quilt, and Nana couldn't say no! 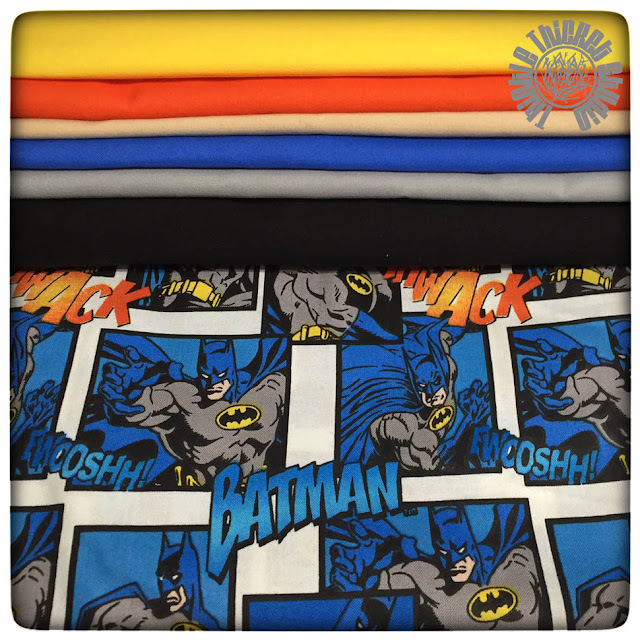 I found the Batman fabric at JoAnn's and picked up some Moda Bella Solids in coordinating colors at a LQS. I've already drawn out my design, but need to finish up some of those other abandoned projects before I start this one. Not much sewing has been happening around here since I finished my 'Robots All In A Row' quilt. I have started making some of the Spell It With Moda letter blocks, though, so thought I'd share. I pulled out my stash of Sweetwater Sunkissed fabric for this project. 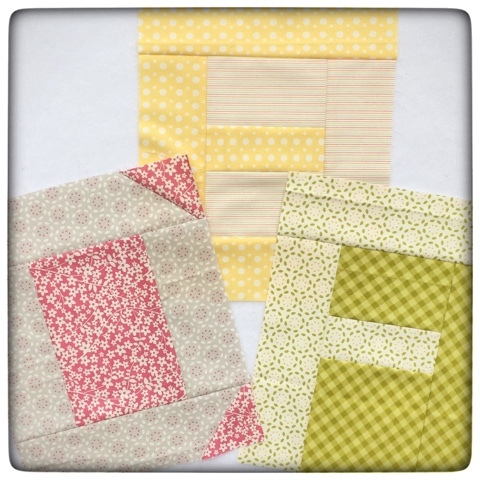 These blocks are really fast & super easy to make, I just wish I had more time to sew right now. 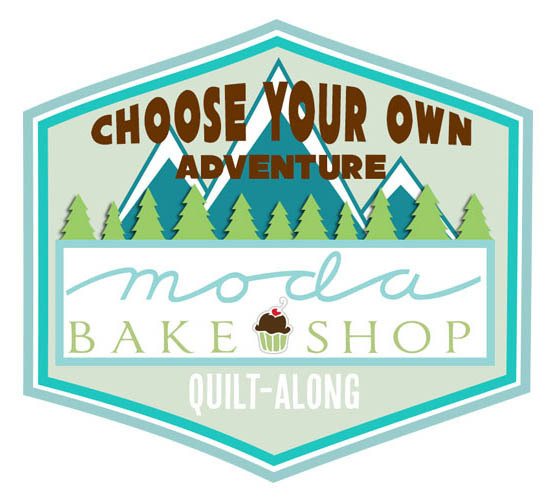 Are you participating in Moda Bake Shop's ABC Birthday QAL?It's not too late to join in the fun, so check out the details here. 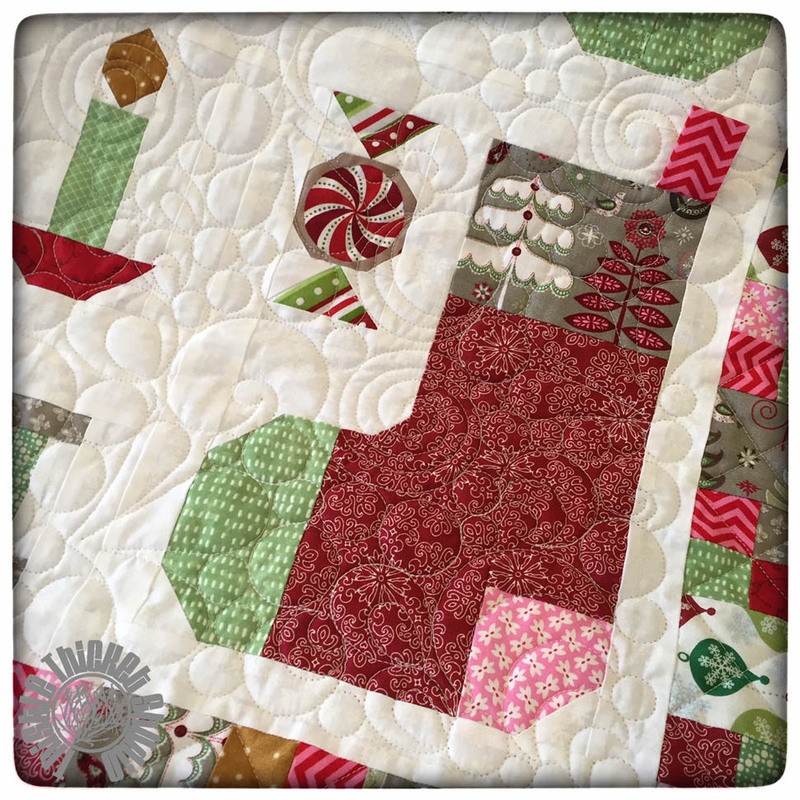 And you should check out Amanda Castor's Cut, Sew, Press, Repeat Recipe that she shared for the MBS Birthday QAL - this is definitely on my project to-do list! 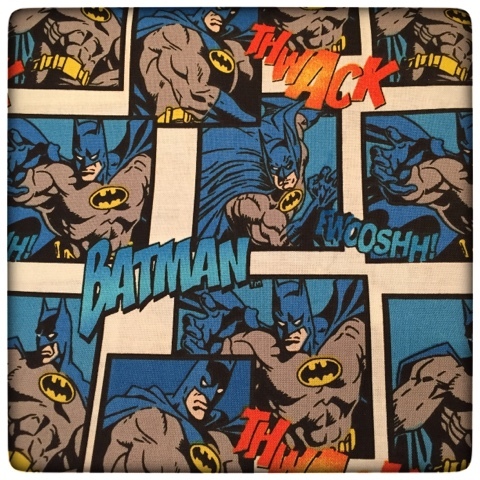 I added one more project to my to-do list - a Batman quilt. When I gave grandson #2 his robot quilt, grandson #1 asked for a Batman quilt & Nana couldn't say no. 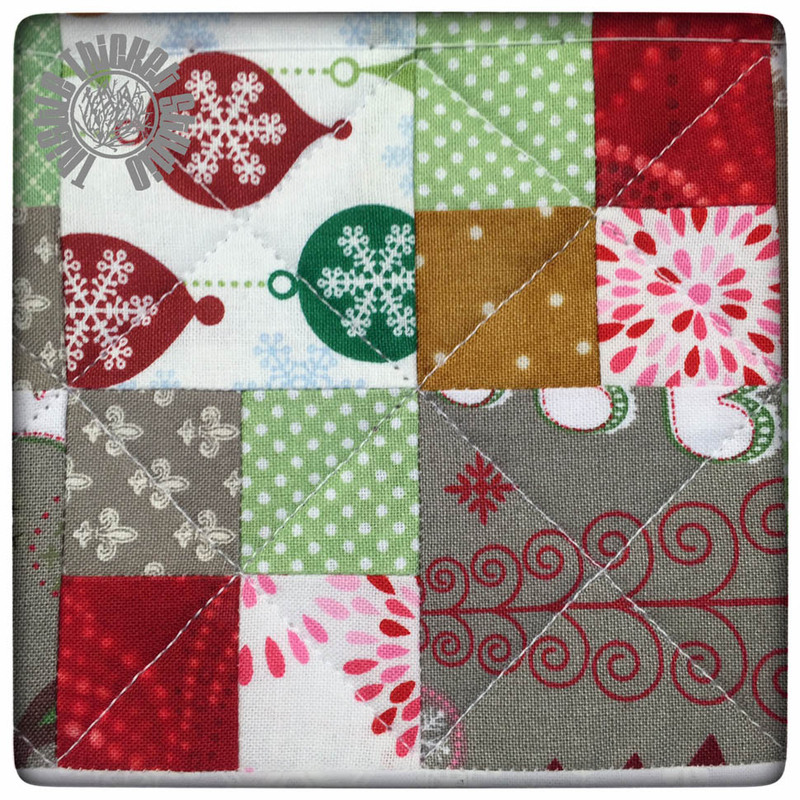 I found this fabric for the backing the other day - at 40% off plus an end-of-the-bolt discount & $5 off my total purchase! POW! 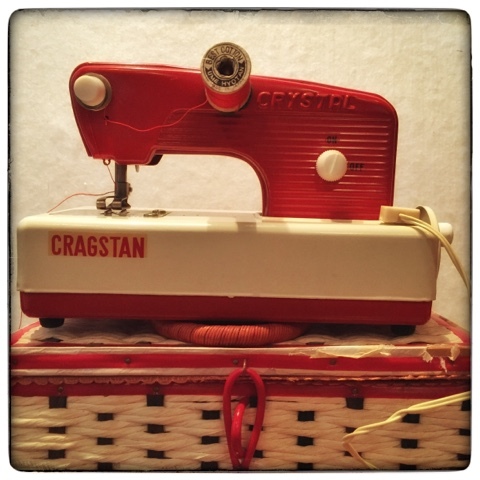 Lastly, I thought I'd share my latest junkin' finds - a vintage toy sewing machine! It's just sew cute! 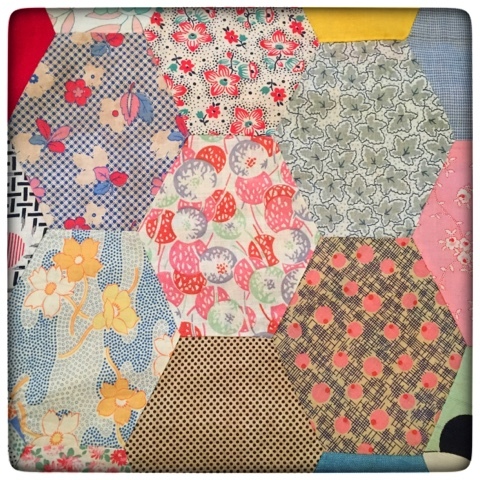 And a vintage scrappy hexagon quilt. 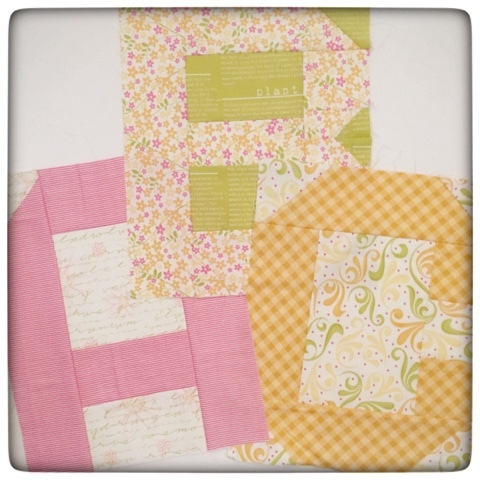 I love all the different vintage fabrics! 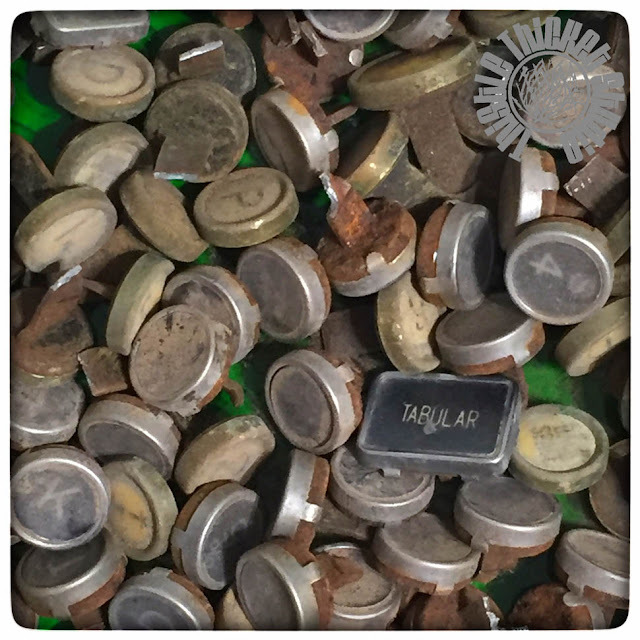 What have you been working on lately? What's next on your to-do list?